An exquisite robe in sumptuous ivory bamboo silk, featuring vintage inspired drape sleeves with cream lace trim. Perfect for the beautiful bride, birthday girl or as a timeless statement piece. A really special item to treasure forever. 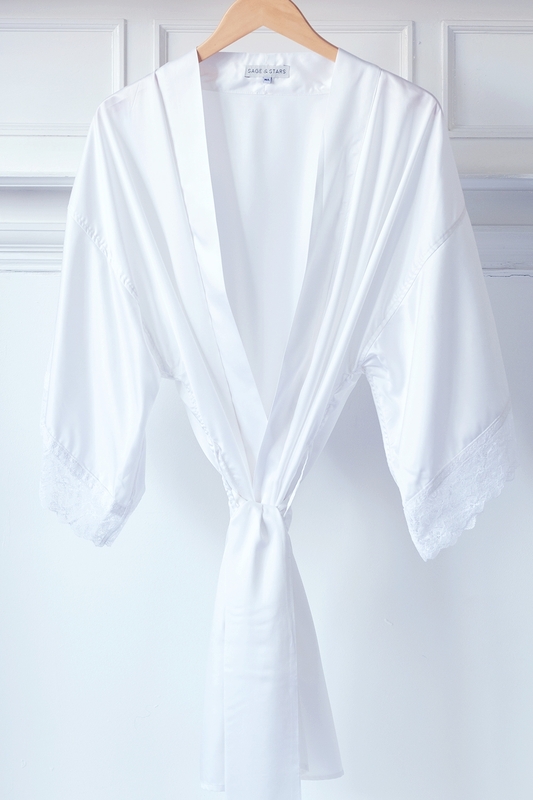 Our ivory Alcyone Robes are dyed in a closed loop system using GOTS approved non-azo dyes, ensuring the production process is eco-friendly.